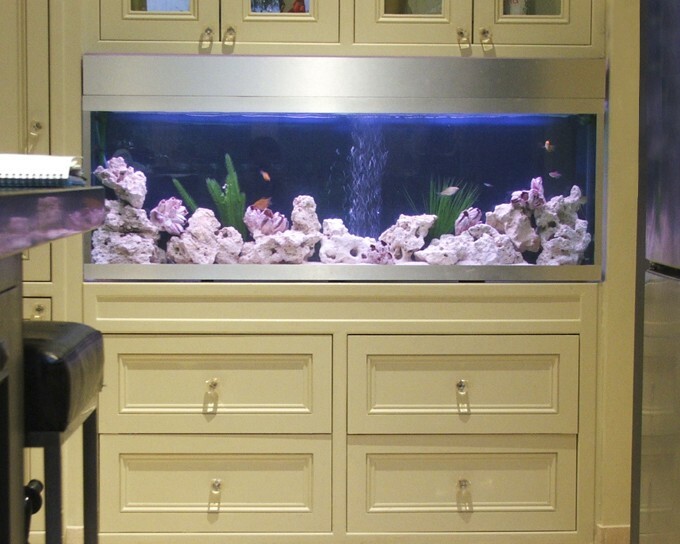 This is a fairly small bespoke aquarium and was designed to fit perfectly into this residential kitchen. Our client opted for the brushed aluminium trim in order to stand out from the dresser. The filtration and air pump are housed in a cupboard to the right. Kitchen aquariums such as this really brighten up a dark corner.